This itinerary includes the Tokyo National Museum (Ueno), the Mitsubishi Ichigokan Museum (Tokyo Station Area), the Nezu Museum (Harajuku/Aoyama), and the Tokyo Metropolitan Teien Art Museum (Meguro). Base yourself somewhere central to save time (see Notes below). Visit the district pages linked below for full details on the museums mentioned below. Check the websites of the actual museums to see what exhibitions are currently on and plan accordingly. Note that three of the museums here are closed on Mondays, while the Tokyo Metropolitan Teien Art Museum is closed 2nd and 4th Wednesdays. Head up to Ueno and walk across the park to the Tokyo National Museum. Try to arrive right at 9:30am, when the museum opens, because it gets very crowded later on. This museum gives you a great overview of the major periods and categories in Japanese art. Take the JR Yamanote Line south from Ueno to Tokyo Station. 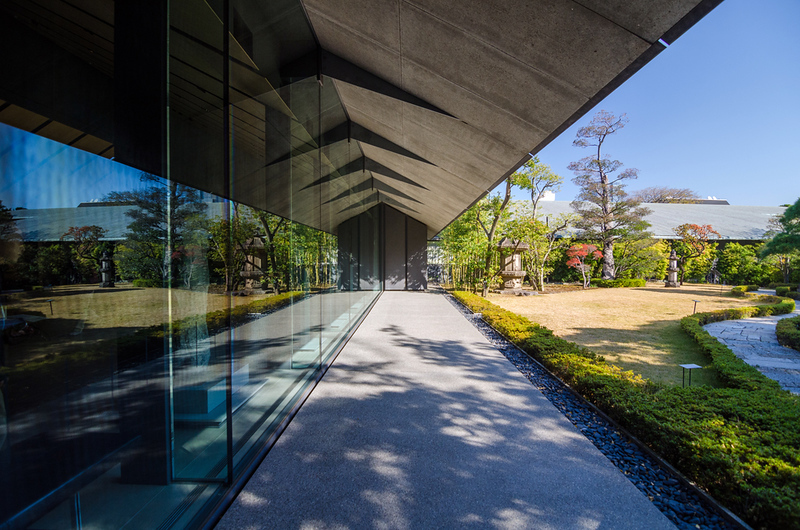 Walk south from the station to the superb Mitsubishi Ichigokan Museum. Focusing on Western art, this museum is one of Tokyo's great treasures. The area in and around Tokyo Station is crammed with restaurants. The Marunouchi Brick Square, just outside the Mitsubishi Ichigokan Museum (above) is a good place to eat and is slightly less crowded than places closer to the station at lunch hour. For more choices, see my Tokyo Station Area Places to Eat section. Take the Ginza subway line from Nijubashimae Station (very close to the Mitsubishi Ichigokan Museum) to Omotesando Station in Harajuku. From this station, it's a short walk east to the wonderful Nezu Museum. The museum alone is well worth a visit, but the garden (admission is included with museum entry) is breathtaking – it's probably my favorite place in all of Tokyo! Don't miss it. Take the Chiyoda subway line one stop west to Meiji Jingumae (Harajuku) Station and switch to the JR Yamanote Line and ride it south three stops to Meguro. Exit and walk east for about 15 minutes to this seldom-visited Art Deco (by tourists at least) building which houses an every-changing schedule of fine exhibitions. Don't miss the adjoining garden. If you're tired or just want to sleep in, cut out Ueno and the National Museum and start at the Mitsubishi Ichigokan Museum in the Tokyo Station Area. This allows for a much more relaxed pace during the day.